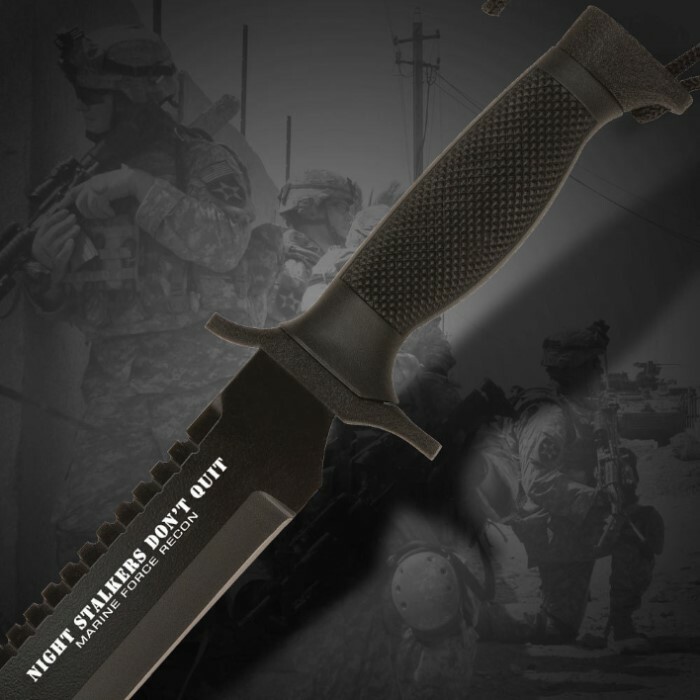 United Cutlery Nightstalkers Dont Quit Tanto Knife | BUDK.com - Knives & Swords At The Lowest Prices! When the Marine Force goes into the night, they need a knife that will get the job done. 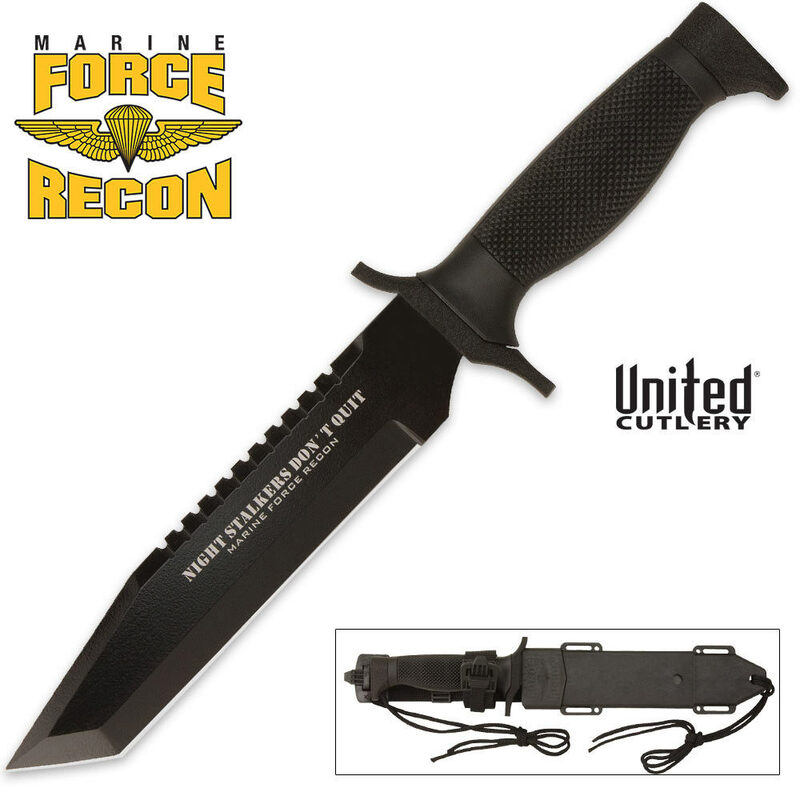 They carry this massive 12" stalker with a powerful, double-serrated back edge.